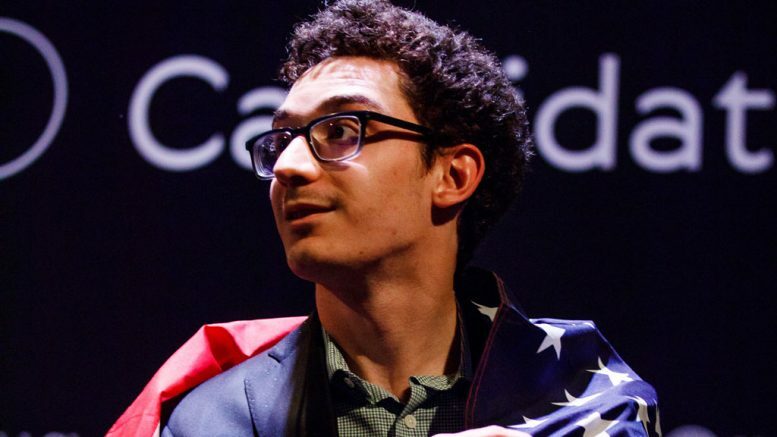 Jonathan Tisdall with a look back at Fabiano Caruana’s huge win in the FIDE World Candidates Tournament making him Magnus Carlsen’s WC challenger in London. It’s not easy writing about sporting events that are over, especially crucial ones that have been in extreme focus, so I will try to cheat and move on to looking forward as quickly as possible. But first, a look back at the 2018 Candidates in Berlin, with a slightly calmer and philosophical disposition than live Twitter mode. 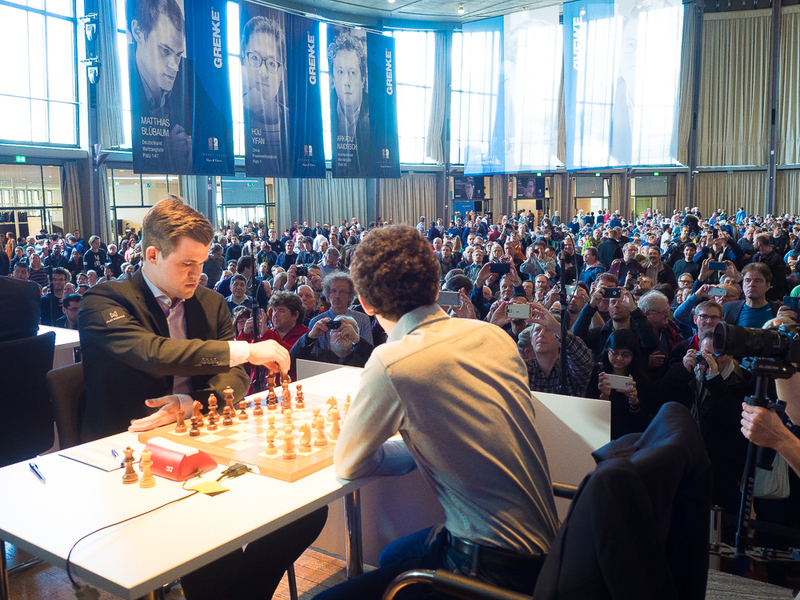 Even in this mode, I feel compelled to say this was one of the best events I can remember watching – with more combative, creative, risky, complex and fallible chess – than you can see in a full calendar year, and all at the highest atmospheric pressure. I am going to assume that readers are conversant with the general sweep of the drama, how the race went, who won, which games were noteworthy, and concentrate on my preferred angle, trying to discover and reflect upon some of the hidden and psychological aspects of the struggles. And with such a human angle as a goal, lets start by going through the cast of humans. My sheet looked like this: #1 Caruana, because he’d cleverly deflected attention and pressure from himself by having a disastrous Tata Steel as warm up, and on top of this, success and form tend to rotate among the current elite. 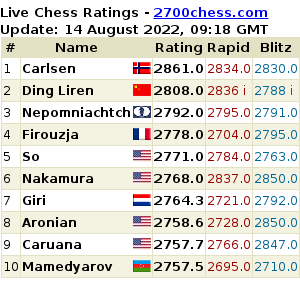 What has set Magnus Carlsen apart more than anything else is his incredible consistency, when an occasional result around the 2800 mark is considered a catastrophe. With this in mind, Fabiano was a prime candidate to bounce back, especially given his experience in this event. Also, to my mind his Tata result looked like that of someone who was already mentally in Berlin – marked more by lapses of concentration than terrible form. Fabiano played his best games at the very beginning and end of the event, got a bit nervous while leading in the middle, and a repeat Candidates shock of losing to Karjakin woke up him up and brought out the very best in him. 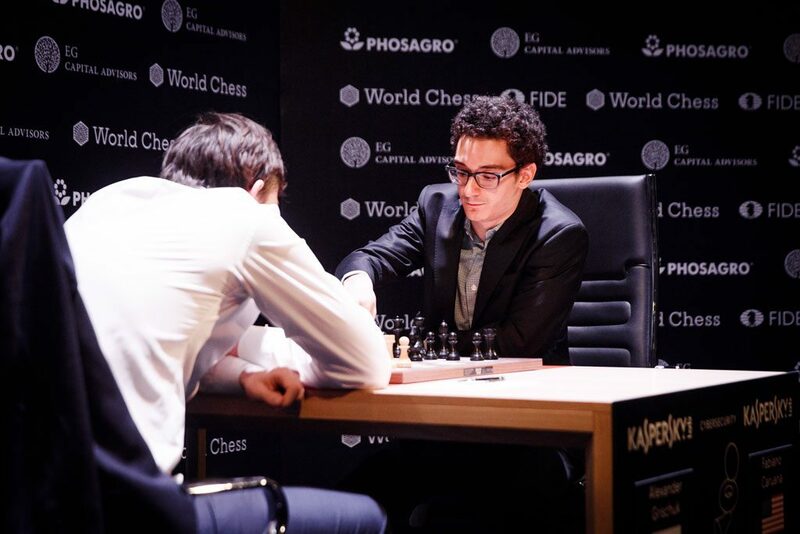 Berlin was a majestic overall performance by Caruana, and Carlsen has since admitted that he started mentally preparing to meet Fabiano for the title around the halfway mark in Berlin. 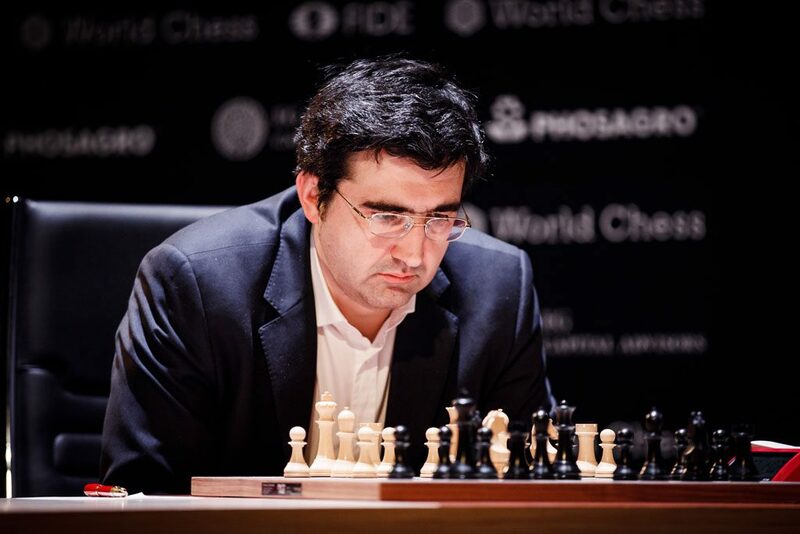 Second #1, Kramnik. Another promising combination of lack of pressure coupled with experience and ambition, I also have a weak spot for the way the ex-champ has been playing in recent years, with Benjamin Buttonish aggression and flair. With a good start and a calm head, after Tata I felt I could easily see him ‘doing a Vishy’ and reviving a veteran title bid. In the end, I got the calm head bit wrong, and the aggression too right. But how different might have things been if that thrilling roller-coaster Kramnik-Caruana encounter in the 4th round had turned out differently? I have a sneaking suspicion it probably wouldn’t have turned out that much differently to be honest. This reminds me slightly of occasional Magnus aberrations, where he self-destructs out of sheer desire to win – his loss in the title defence vs Karjakin one very notable example, and he has done this surprisingly often in team events – but I cannot remember ever seeing someone turn this mood into a sustained approach for an entire event the way Kramnik did. It was amazing to watch, and contributed greatly to the sometimes surreal level of surprises in the tournament. 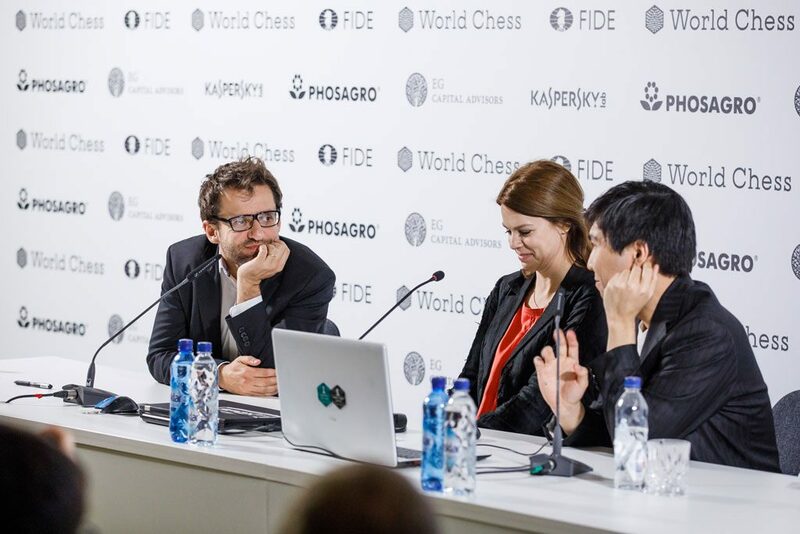 The danger signs were evident in the first round, when Aronian achieved an opening extremely typical of his successful events against Ding, but handled it very nervously. I’ve written before about how I view one of his great and rather unique strengths as the ability to regularly generate opening ideas that don’t overly impress engines but do produce sharp, baffling positions that suit him perfectly. This is a very potent cocktail of surprise, danger and complexity that powers his successes and creates the swashbuckling chess that makes Levon so popular a player. The paradox is that it is such a tricky business that doing this well can easily be a recipe for disaster as success. In Berlin, I think an examination of the Armenian’s openings will often reveal what I called a high degree of ‘Aronianization’ – achieving the goal of getting his type of position. The problem in Berlin was that something – nerves, form, curse, or inspired opponents – prevented the usual comfort and dexterity once there. This lack of ‘Levonosity’ meant that these opportunities backfired, and this nightmare scenario meant a nightmare result. The supremely violent tournament results of Kramnik and Aronian almost argue for an odd ‘folly of experience’ in Berlin. While these two played with an overly youthful abandon, the more cynical guard emerged as the frontrunners, particularly by finding strength down the finishing straight. Grischuk long managed to span these two categories, playing nearly as sharply as the older veterans, but with stable enough results to stay within striking distance of first place. Results is the operative word here, because Grischuk’s games were anything but stable, and he featured in three of the most hair-raising mishaps of the event, a highly mysterious mutual oversight as White vs Ding, and truly miraculous escapes as Black vs. Aronian and Ding. These games, and some of the other more dramatic moments of the Candidates, tempted many people to toss around terms like ‘blunderfest’ a lot. This video gives a nice overview of the lowlights as well as channeling the style of some of the crass commentary. We all know how the extremely high stakes of world title events can warp minds and nerves, and Berlin also featured an unusually high percentage of players willing to risk mad, baffling complications. This #BerlinCandidates is so crazy, it wouldn't surprise me if Vishy wins it. Down the stretch we saw once again how strong Karjakin’s nerves and backbone are, and we learned what great potential debutant Ding Liren has – the only player to go undefeated. One other fascinating character was world #2 Shakhriyar Mamedyarov. Despite his standing, Shakh doesn’t get a lot of love in terms of public belief in a title shot, and Berlin illustrates this odd contradiction; his result confirmed his class, but the performance didn’t quite satisfy. At Tata Steel Shakh entertained greatly with his explanations and thoughts about his recent rise, and one reason he gave is that he has learned to play like an ‘old man’, which means injecting a lot of risk-free solidity into this game. In Berlin, Mamedyarov capitalized quietly on two opportunities, and then waited patiently. When he finally made his late move, an indicator of rising violence levels at the finish was that he was a queen behind in his last two Whites – but this only resulted in 50% anyway. Mamedyarov now faces a very interesting challenge for future progress – how much of the former wild young Shakh is needed to raise the mature Shakh’s level even higher? Because I don’t think I’m the only person who thinks old man Shakh is not the absolute best Shakh. This leaves only Wesley So unmentioned so far. I’m not going to criticize the approach of such a strong player because he presumably knows what he needs most, but I have to admit I was greatly disappointed by the way he handled his damage limitation in Berlin. Karjakin came from a similarly depressing standing but bounced back, not by taking wild chances but simply by fighting on. So differed by consistently playing to obliterate chances and ensure draws. He succeeded in stopping damage, but he also eliminated a comeback. The emergence of the next title challenger sparked three quick discussion topics that caught my eye: that Rex Sinquefield would move the match from London to the USA (who knows? Though Agon is now saying it’s impossible…); that the Grenke Classic Caruana-Carlsen clash would be a profound indicator of the coming match (not really); and that Magnus Carlsen has grown weary of the weight of the crown (you can not be serious?). The Grenke pairings offered up the title preview in the very first round. To me, this was just a free hit for Caruana; coming directly from Berlin no one could fault him if he is drained and distracted in Karlsruhe/Baden-Baden. Carlsen seemed to agree, and decided he had to try very hard to win with black since anything else would definitely feel like a symbolic victory for the challenger under the circumstances. Then again, maybe the Grenke game was a profound match indicator. It demonstrated high class, mutual respect, and prospects for duels that truly stretch the abilities of our best humans. Finally, I do not comprehend how anyone can entertain the thought that Carlsen is tired of his title. Sure, being champ means constant, enervating pressure, but once you’ve seen the standards he holds himself to, and how angry anything short of perfection makes him, you don’t need to factor in the more obvious incentives of money and success that have allowed him to do everything from work with supermodels to frolic at the Bernabéu, to know he still cares. Tired of all that? If you were paying attention, you saw the sudden terror of losing all this on his face during the later phase of the last title match. If you’ve heard him enthuse about arcane bits of chess history, you know he is doing what he loves most for a living, and he is often living his dreams. 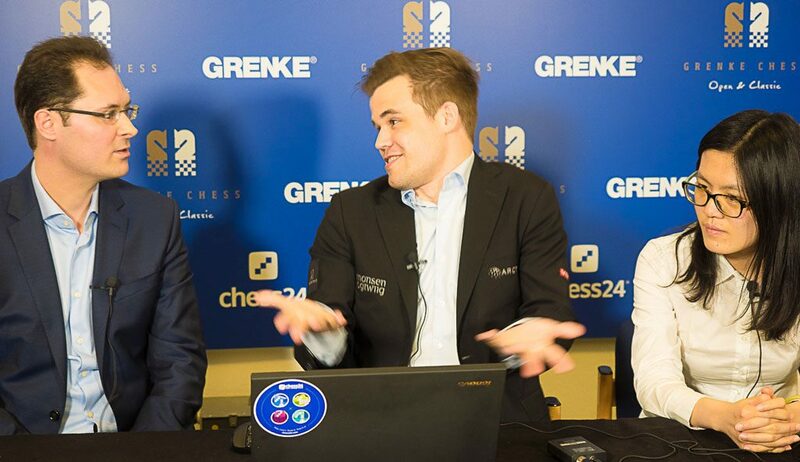 If the last few years have hinted at a Carlsen malaise, it is far more likely that it has been one of boredom. He has been waiting for something to inspire him, to threaten him, to push him – and he has been waiting for Caruana. 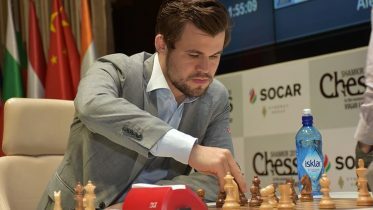 I think for this reason alone, the 2018 title match will be one to remember, because Carlsen will have no excuses, and will be fully motivated again to recapture the near 2900 form he showed some years ago. With luck, that Carlsen and the 2014 Sinquefield Cup Caruana will clash for the title, and we’ll all be richer for it. I can’t wait. This tense, complex and nerve-wracking bit of drama arguably determined the outcome of the event as early as round 4. Play through it, even if for the second time, without an engine and see if it feels like a ‘blunderfest’, or a death-match.